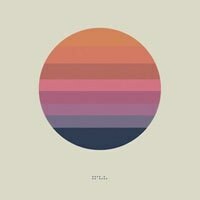 Lack of substance and interest plagues Tycho's fourth album. Tycho has always owned an odd niche in the indie world. Electronics and post-rock sensibilities collided on Scott Hansen’s last album Dive which netted him hype and praise. Now that album number four, Awake, has been released Hansen seems more dedicated to mashing the sounds of Maserati and Mogwai with more downtempo aspects. Mogwai’s recent, and solid, Rave Tapes serves as a great touchstone for Awake. Both albums infused driving guitars and rolling bass lines with more synthetic and calmer sounds. Unfortunately Awake isn’t quite up to par. Being able to enjoy Awake means you’ll have to deal with stretches of empty minded prettiness to get to any real substance. It should be said that Awake often borders on beautiful. The production here is tremendous and is easily the album’s best quality. Synths sparkle and cascade while the drum work makes the songs glide along. Certain moments within these songs prove that Hansen is a hell of a producer. The middle section of “Dye” sounds like it was recorded underwater and the technicolored ending of “See” is the album’s most energetic moment. Sadly, even with Hansen’s work, the album never finds its center. In direct contrast to the album title, Awake feels half-asleep and bleary eyed, occasionally threatening to burst into something interesting but never quite reaching far enough. Despite the relatively short run time (only three songs here go over five minutes) Awake’s tracks seem to stretch on much longer than necessary. The title track opens the album seems poised to break into something grand. Well-placed guitars strum around a rumbling bass and the middle section is a calm yet driving piece of work, but it never goes anywhere. Much like many songs on this album, it lacks any sense of direction. The following track “Montana” bursts into its climax too early leaving the tail end of the song to peter out unceremoniously. “L” meanders for a good three minutes before a head-bopping groove finally appears and leads the song out. It’s deeply unsatisfying to hear these segments of excellence go by, like they were from some superior version of Awake only to be surrounded by long sections of torpidity. Thankfully, only one song here feels truly awkward and out of place. The dirty drums of “Apogee” seem to have been slapped on over the more tranquil parts of the track. What makes Awake truly frustrating is that there’s only one song here that is excellent the whole way through. “Spectre” manages to combine the album’s best guitar work with pulsing drums and smartly placed bass. Everywhere else on the album, moments of greatness are bogged down by slog. The opening and ending of “See” are two of the album’s best moments, but the middle section is sleep inducing and utterly directionless. The closing track “Plains” appropriately ends things with a whimper. It’s the shortest song on the album but its three minute run time is misleading. After about two minutes it begins to fade away into nothingness, only a repetitive drum beat and rising white noise remain. “Plains” might be the best example, but over the eight songs here Hansen struggles to be engaging leaving an album that is pretty, stream-lined, and much too often dull.